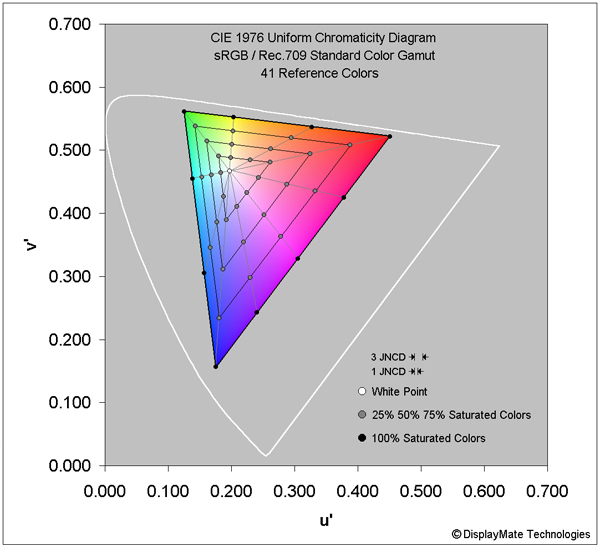 Virtually all current consumer content is based on the sRGB / Rec.709 Color Gamut Standard. Figure 2a below shows 41 Reference Colors for the Standard sRGB / Rec.709 Color Gamut as White, Gray, and Black circles. The 10 Black circles on the outer triangle are the 100% fully Saturated Colors on the periphery. The 3 inner sets of Gray triangles are the 25%, 50% and 75% Saturated Colors between the inner White Point and the 100% Saturated Colors on the periphery. The White circle is the White Point with 0% Color Saturation. 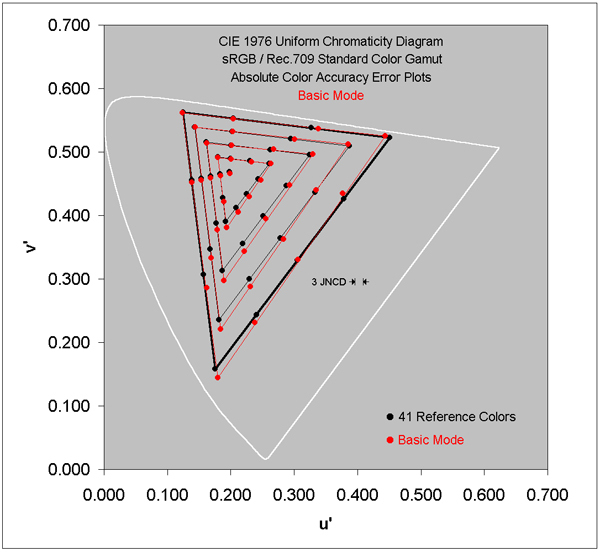 Basic screen mode: Figure 2b below shows the measured on-screen colors for the sRGB / Rec.709 Reference Colors. 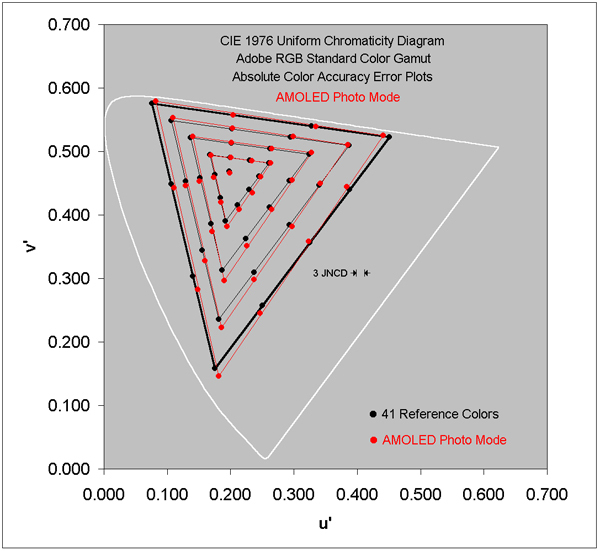 AMOLED Photo screen mode: Figure 2c below shows the measured on-screen colors for the Adobe RGB Reference Colors. The Reference Colors in Figures 2b-2c are all shown as Black circles and the measured Colors for each of the Screen Modes are shown as Red circles. Color Errors smaller than the appropriate JNCD are not visually noticeable. The 1 JNCD and 3 JNCD Errors are discussed next and are shown in the Figures below.